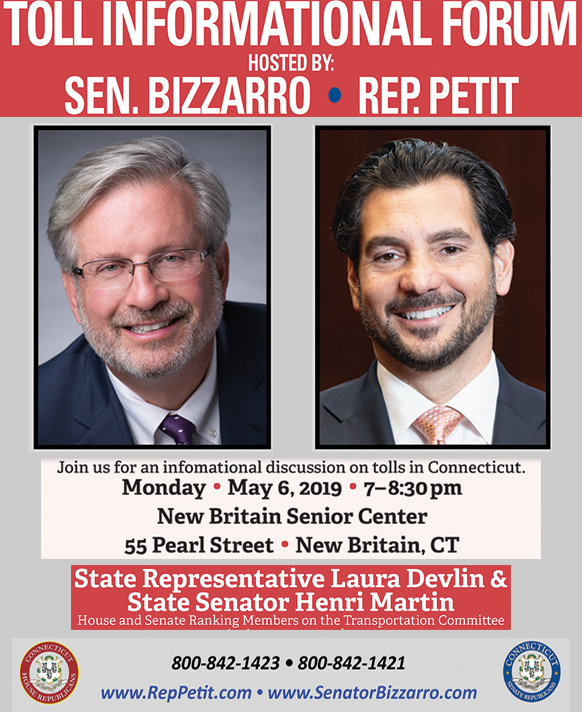 HARTFORD –State Representative William A. Petit Jr. (R-22) testified in front of the Judiciary Committee last month in support of two bill proposals that would have increased public safety and the continuation of victim’s rights by reforming the state’s current Earned Risk Reduction Credit Program. 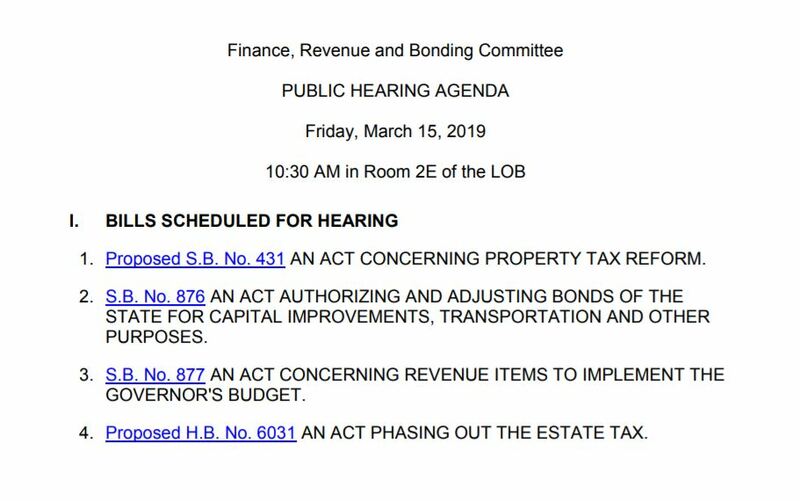 The Finance, Revenue and Bonding Committee will be holding a public hearing tomorrow (Friday, March 15th) on three significant tax related bills that would have a tremendous impact the residents of Connecticut. 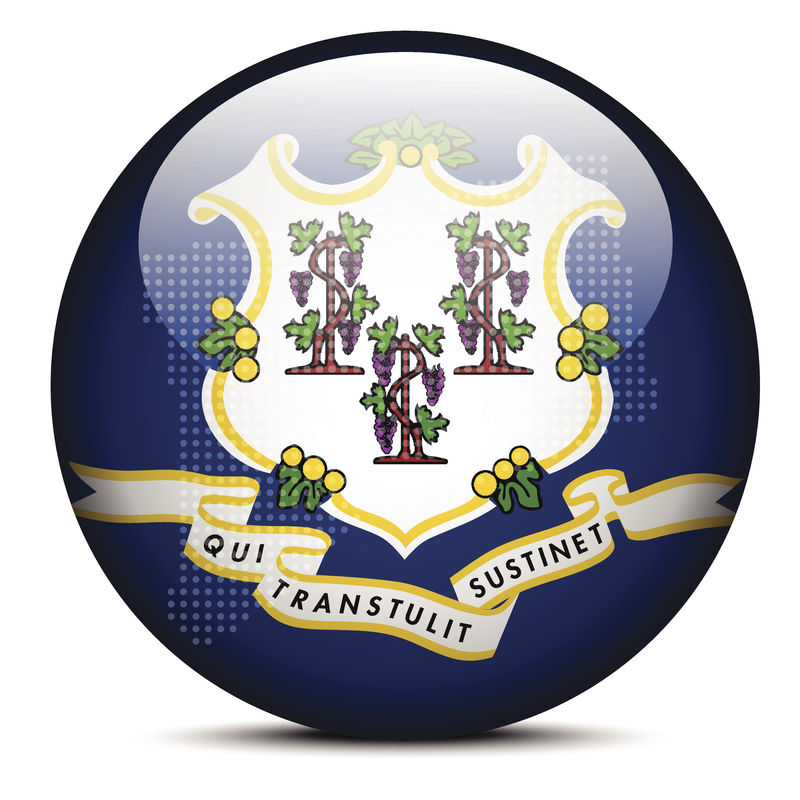 The public hearing begins at 10:30 in Room 2E of the Legislative Office Building, 300 Capitol Ave #5100, Hartford. PLAINVILLE – In honor of Dr. Seuss’ birthday and the 22nd annual Read Across America Day, State Representative William A. Petit Jr. (R-22) joined in the nationwide celebration by reading to students from Linden Street School in Plainville and DiLoreto Magnet School in New Britain. 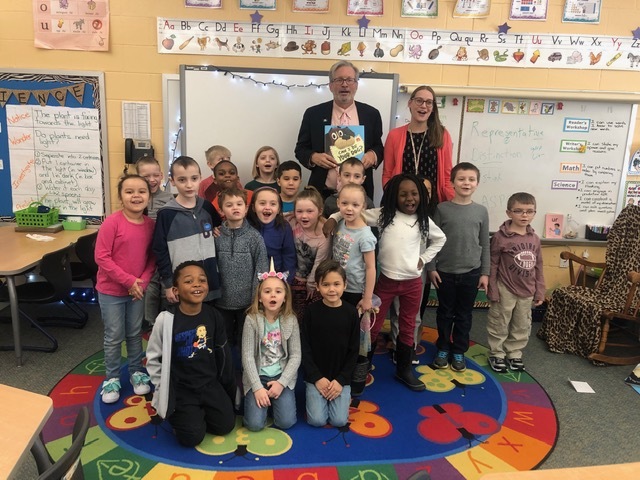 As part of the annual event, Rep. Petit bought copies of ‘Can I Be Your Dog‘ and once read, donated them to the 1st grade classrooms at both schools. 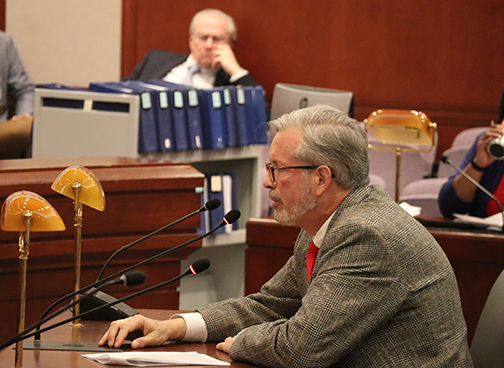 HARTFORD – State Representative William A. Petit Jr. (R-22) testified in front of the Judiciary Committee on behalf of three pieces of legislation designed to increase public safety by reforming the state’s current Earned Risk Reduction Credit Program. 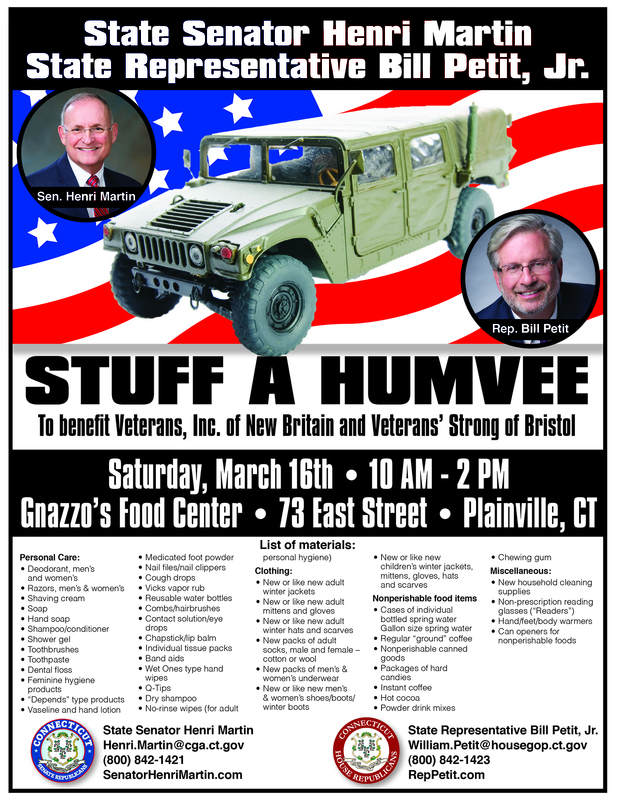 PLAINVILLE – State Representative William A. Petit Jr. (R-22) and State Senator Henri Martin (R-31) will be co-hosting a ‘Stuff a Humvee’ event on March 16th at Gnazzo’s Food Center in Plainville. WHEN: Saturday, March 16th from 10 a.m. to 2 p.m. 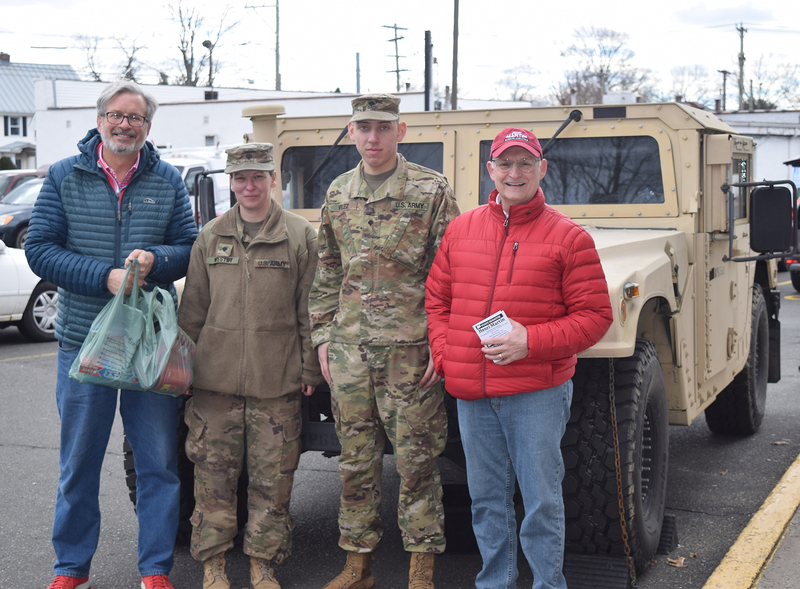 There will be a Humvee on the premises to collect personal care, clothing, nonperishable food, and other miscellaneous items to then be donated to Veterans Inc. of New Britain and Veterans’ Strong of Bristol. 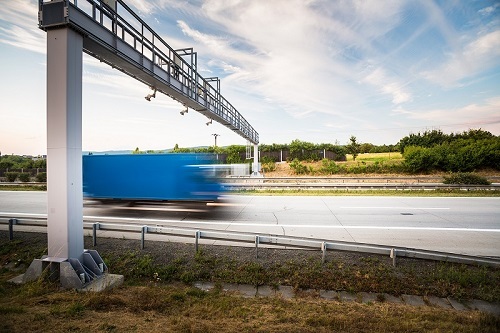 Over 600 of you participated in my recent poll on whether or not you support tolling in Connecticut. Based on your responses, the overwhelming majority of those who responded/commented said they were not in favor of tolls in any situation. 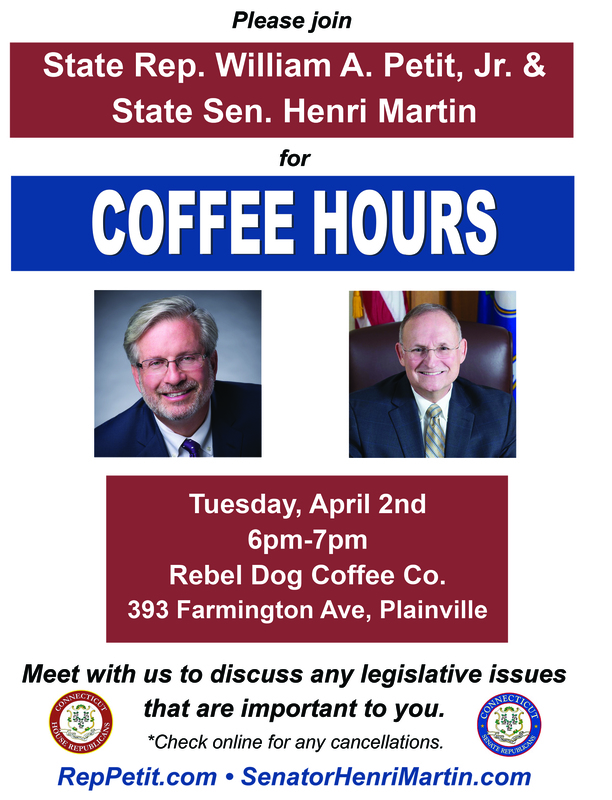 The #1 response was to “cut spending” to allow for adequate transportation funding. 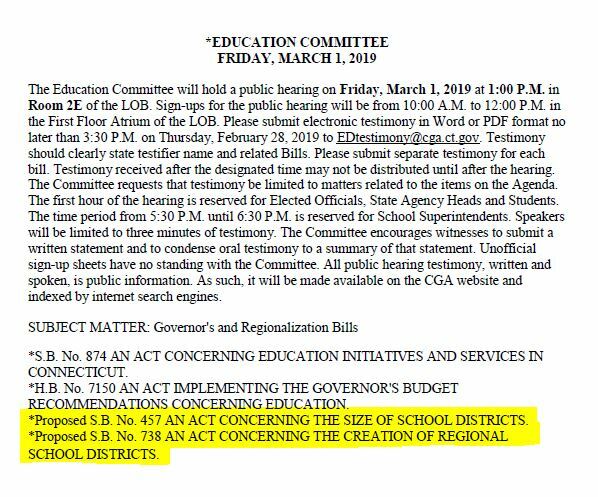 Forced school consolidation is a real distinct possibility and whether you support the idea or not, I would like to encourage you to have your voices heard.